Guest Post – Michael Huxley, Travel Nurse and Blogger | Bug Off! How to Avoid Being Bitten By Mosquitoes on Your Travels. 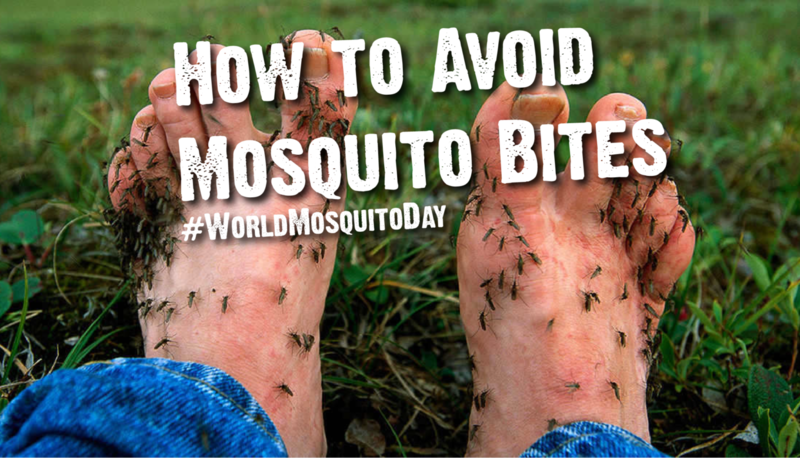 Travelling around the world is a grand adventure, and it should be – to an extent – fun and care free, but there are certain health risks out there that you need to be aware of and protect yourself from too, not the least of which are poised mosquitoes. Mosquitoes present are one of the single biggest health risks to travellers heading off on their round the world adventure or backpacking travels, not just because of the wide range of mosquito-borne diseases such as malaria, dengue and Zika, but also because travellers, unintentionally or otherwise, often leave themselves unprotected and exposed to these little pests. The best way to protect yourself from any mosquito-borne disease is to reduce the risk of being bitten in the first place, so here are the best ways travellers can protect themselves from being bitten by mosquitoes when abroad. Mosquitoes love uncovered skin, so the more you cover up the better. Loose fitting, light-weight cotton clothing is best as you still want to be comfortable in the sun, but long sleeved t-shirt, shirts or long trousers should make it a little more difficult for mosquitoes to bite you. You can also get specialist travel clothes that are ‘insect repellent’. These have been pre-treated with the insecticide permethrin in the same way that mosquito nets are, and these are a great way of adding another layer of armour against being bitten. Depending on where you are staying you should also look into using screens and nets too. Windows and doors that have insect screens on them are a good start, but they are not infallible so it is best to look at them as a single line of defence and consider a mosquito net as well. Nets that are coated in permethrin are very effective at protecting you from bites. Using insect repellent is probably the single most effective way of protecting yourself against being bitten by mosquitoes, and when used with other protective measures provides a solid coat of armour. There are many types of repellents out there with different active ingredients, but the only repellents that are clinically proven to provide adequate protection are ones that contain at least 20% – 50% of the active ingredients DEET, Picaridin (also known as Icaridin), PMD oil of lemon eucalyptus or IR3535. DEET is the gold standard of insect repellents. Despite what many people think about DEET, it is clinically proven to work and does not cause any harm when used as directed. PMD (oil of lemon eucalyptus) is the gold standard natural alternative. PMD is a natural by-product of the distillation process of the leaves of the lemon eucalyptus tree, and the oil of lemon eucalyptus contains a minimum of 64% PMD, which is what makes it effective against mosquitoes. It is important to note that PMD (oil of lemon eucalyptus) should not be confused with lemon oil, citronella (lemongrass oil), ‘natural’ lemon, or any other homeopathic ‘repellent’ as they do not contain enough PMD to be considered effective. Along with many homeopathic and natural repellents that don’t have the active ingredients mentioned above in them, there are a lot of myths and misinformation about mosquito protection and unfortunately a lot of travellers believe them. Contrary to popular belief, eating any type of food or drinking any type of drink, including garlic, vitamins B1 or B12 or any kind of fruit, has not been shown to protect people from mosquito bites, so stick to the methods above. None of these methods should be used on their own; think of them as layers of armour against being bitten. The more layers of protection you apply, the more methods you use, the more protected you will be. Remember, the more precautions you take, the lower your risk of anything bad happening to you and the more you can just get out there and enjoy your travels. So go and do just that. This information is meant to prepare you, not scare you, so use it wisely, take notice and go and have the time of your life.